What did we learn from the Malaysian GP? Well, we learned that all the hype about Lewis Hamilton is deserved. This young man is demonstrating a very rare talent, and will definitely be a future champion. He made Massa look silly, and was able to cope with all the pressure that Raikkonen tried to apply. And hats off to Ron Dennis of McLaren who picked up the youngster 10 years ago and signed him up as a future McLaren F1 driver! We could also see that Alonso deserves his World Champion status. He drove a well timed race from the front, lapping very consistently, and will be a good role model for Lewis Hamilton. So, what else did we learn? First off, Felipe Massa will be very lucky to keep a Ferrari drive if he continues to make such elementary mistakes. It is reported that he is unhappy that Raikkonen’s contract is worth five times the one he has, but Massa has not been delivering the goods this year. It may be early days, but Jean Todt has a long memory. “We are disappointed,” said Ferrari officially. BMW has certainly elevated itself so far this season, though Kubica (of the aerodynamic nose) did not do as well as Heidfeld. In fact, Kubica is not meeting the potential he showed last year. Williams is still in trouble, though at least one of their drivers is showing enough pace to be in the top 25 percent of the field. Rosberg was looking good until an unknown malady stopped him. Wurz again could not qualify well and is playing catch-up, but Sir Frank is not known for his tolerance towards his drivers. Remember he sacked a couple of world champions. Wurz has to improve. Toyota has to get to the front or there will be extreme measures taken. This loss of face from the world’s most successful car manufacturer cannot continue. Ralf Schumacher should start selecting his pipe and favorite slippers for next year. He won’t be at Toyota. 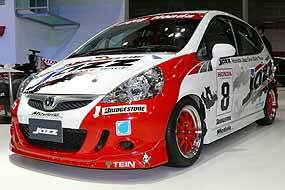 On the other side of the Japanese invasion, Honda’s performance was ludicrous, it was so bad. However, Honda’s press release was even more ludicrous, using words like “drivers drove textbook races” and they are “hopeful of another tenacious and reliable performance” in Bahrain. The real situation is that the cars are hopelessly outclassed. Honda should be brave and admit it. Spyker should just pack up and go home and try again next year after buying an old McLaren, instead of protesting other teams that may be running last year cars from other manufacturers. The only positive aspect the Spyker team reported in their press release was that Alber’s fire “was quickly extinguished by Spyker technicians.” How memorable! Last week I asked who was known as the Tigress of Turin? Clue: she at one stage drove the car which had previously won the 1977 Australian Grand Prix. The correct answer was Lella Lombardi, the only woman to have scored a point in F1. So to this week. Which member of the British monarchy had a Jaguar Mk VII upgraded to Mk IX specs by the factory? Having dried out from Songkran, the new Honda Jazz One Make Race kicks off at the Bira Circuit on Highway 36 on Saturday April 21. I had the opportunity to drive one of these in full-race trim at Bira, and these cars should provide some close racing and biff and bash action from the novice drivers accepted into the series. A great stepping stone into the exciting world of motor sport. In actual fact, I came away from the Bira circuit full of praise for Mr Honda’s new baby racer. It stopped well, the gearbox was sweet and never once did I feel I might have gone from second to fifth, instead of third. The gate was very positive in feel. The ratios were well spaced and it felt a very ‘complete’ race car. Small details were well done, with non-slip pedals, a substantial roll cage and good three inch belts and a brace for the left foot while cornering. At 699,000 baht it is really great value. Unfortunately, the series organizers have decreed that only novice drivers can compete in this One-Make race, and despite my entreaties, they would not even entertain my running a car, even starting from the back of the grid and for no points either. We obviously need another category for old semi-retired racers, forget these youngsters! In the cheapie department, it was the slow Chinese invasion that was obvious. Wuling had the Scorpion again, offering a 10,000 baht discount during the show, making it 265,000 baht, whilst their 11 seater Resort mobile had a 20,000 baht discount sticker, bringing it down to 350,000 baht for show time. And Dongfeng was there with a giant bus, which was yours for something under 3 million baht. The Chinese are coming! By car, truck and bus. At the other end of the scale, Bentley probably had the most expensive cars of the show, with all models well over 20 million. (Very well over.) 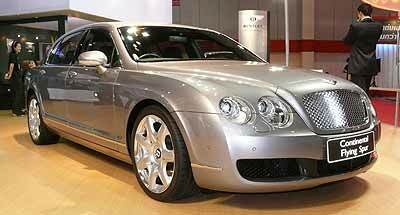 The Bentley Flying Spur, which is the Bentley Continental GT with two more doors and a stretched wheelbase, looked very good, but it is hard to justify the 24 million baht price tag, no matter how practical it was. Now I have nothing against women, in fact I have enjoyed their company for many, many years, but I have really got no time for dolly birds on motor show stands, parroting off technical details of the cars on show, when it is quite obvious they would not know a cam belt from a chastity belt. I am waiting for some manufacturer to give me a real live engineer on the stand who can speak with authority on just why this car is good, better, best. And while on the gripes, many of the exhibitors produced absolutely dull and dreary displays, making one feel that their product was also just as dull and dreary. GM is guilty here. They threw a few cars at their stand, all higgledy-piggledy, and thought that was enough. They had some NGV Optras with a sticker on them to announce it, whilst they should have highlighted this (it was supposed to be a ‘green’ show after all) and made a feature of it. Instead, what did they have? Another bunch of dolly birds, in ridiculous outfits, to mouth off the details. These were under the control of a choreographer, no less, who was there on the first morning putting them through their twirls and door opening routines. Considering that GM have some great concept cars that could attract the crowds (such as the new Camaro concept) and it would cost peanuts to get one or two over for the show, throwing money at dolly birds and choreographers is a waste. GM were not the only ones like this. Old rivals Ford had Samba dancers, would you believe! What for? And a rally car equipped with a Sony Playstation program (or a dummy, I didn’t look too close) which was lost in their hordes of Ford Ranger pick-ups. They even made a Ranger the center of a display - a Ranger that can be seen at any Ford dealer, any day of the week. Another opportunity to promote the brand lost again. Even Ssanyong, purveyor of the decidedly Ssick looking vehicles, tried harder, with a Rexton up at 45 degrees with rotating wheels. At least they tried, even if the Ssanyongs are incredibly ugly. Just across the hallway from Ssanyong was Subaru. Another manufacturer which needs to sack its styling department. The ‘koala nose’ vehicles are just so wrong. There is a new Subaru out this week in the US, I believe, but it will be a long time before we see them here. I would say that Jaguar, another of Ford Motor Company’s marques on the chopping block must be getting rather desperate. When you look back at why Jaguar came to such prominence 50 years ago, it was because Jaguars were up to the minute in styling, had great performance and were cheaper than the rest. 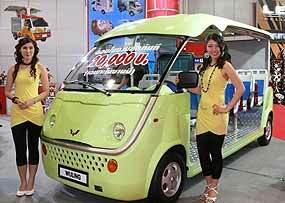 The “new” zero percent S-Type has retro styling, only adequate performance and is expensive at 5 million baht. 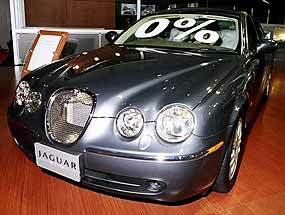 The XJ6 was even worse at 7.3 million baht. Talk about losing the magic formula! And Zero percent won’t save them either.